I just did the calculations and figured out that I have personally conducted more than 600 interviews within our community over the past 11 years!! This is not only deeply rewarding to have been able to speak with so many people, but a great honor to know that I have played a role in the shape and direction of so many of your lives and paths. For anyone who has had an opportunity to do an interview with me you will know it is much more than just a simple Q & A. The LocalsGuide interview process looks much DEEPER. In an interview I provide coaching on marketing, voice, presentation, timing and long term business strategy!! Just this morning I was speaking with Arnie Klott, owner of Pronto Print. Last week I spoke with realtor Patie Millen and local author KG Stiles!! WOW… each conversation is truly a gift. 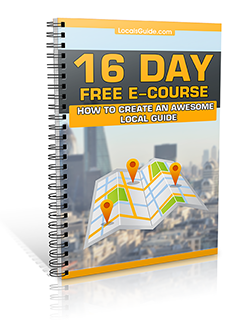 I am continually inspired to find new and creative ways for LocalsGuide to build win – win – win relationships! I continually ask myself: How can we build models of business that create prosperity for our community? How can we continue to grow and foster a collaborative economy in which we all work together and not needlessly compete to undermine and destroy one another? It took me a while to figure out the prosperity model for LocalsGuide and then it clicked. If I can make my advertisers wildly successful, and I can enrich the community with valuable information and resources then LocalsGuide will prosper. This is win – win – win, and I couldn’t have done it without you! LocalsGuide is growing, we are changing lives, growing local businesses and enriching our community. We are not doing this with hard sell manipulation, but through integrity and clarity of message. We are connecting your business with customers who care and in turn helping customers find you! 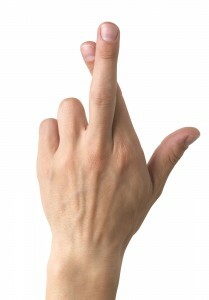 Today, I would like to thank you for being a valued customer / loyal fan of LocalsGuide. I would like to thank you for you time spent reading, sharing, discussing, supporting and investing in LocalsGuide. Your support has not only allowed one entrepreneur to bring his dream to life, but has helped many others as well. This spring, we will be launching the LocalsGuide – Visitor Information Network here in Southern Oregon. Our exciting new service pairs a location aware mobile app, ‘LocalsGuide‘ with interactive public information kiosks. Visitor information content is then locally controlled and monetized while giving users the best and most accurate local information!! “Why not just search online?” you might ask. I will reply “the future is not about more, the future is about less”. We need more accurate local guides that answer frequently asked questions directly and promptly. 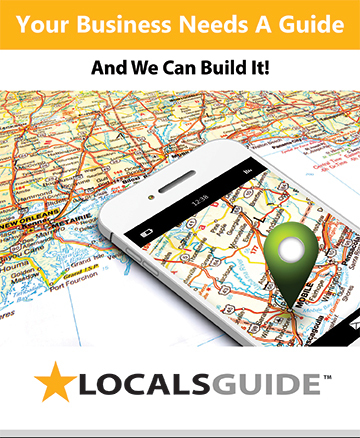 No more wondering or wishing for a singular source of local information – Find it in the LocalsGuide! Some of you will remember me talking about this as far back as 5 years ago. Perhaps you listened to me enthusiastically share updates with you over a lunch at Standing Stone. Maybe you even saw glimpses of a past attempt fourteen year ago. Well, they say every idea has it’s time, and that time is quickly arriving for LocalsGuide. You are a part of this dream and for that I am grateful and I will not forget. Here’s to our continued success of building a world of Win – Win – Win!